In the morning, on Tuesday , at night-- using the right preposition in English can be as tricky as learning how to talk about dates correctly. Don't worry, we are here to help! 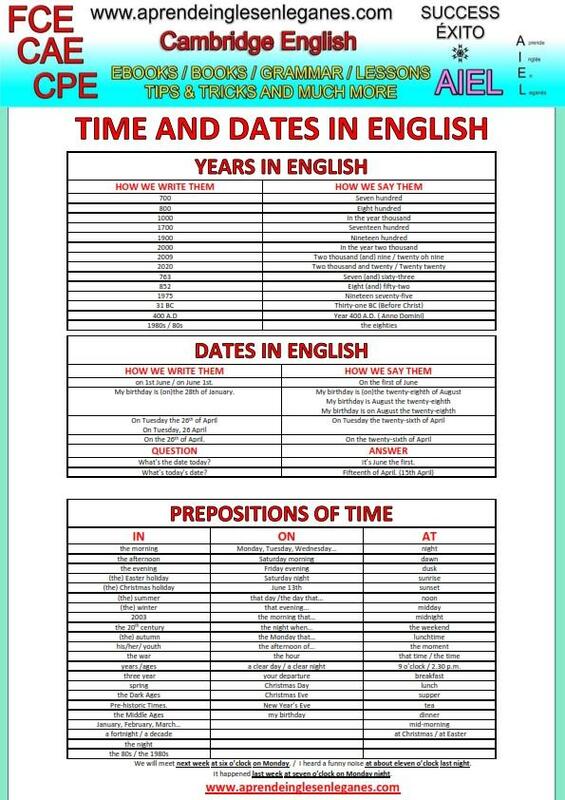 Have a look at the sheet below to learn about dates and prepositions of time in English.